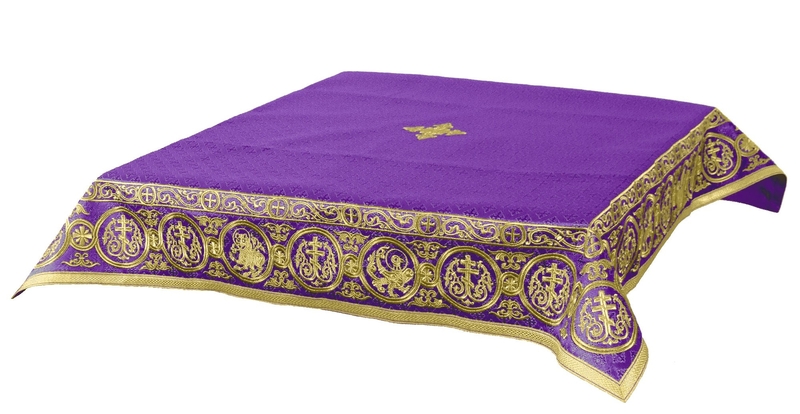 Liturgical Holy table covers (violet-gold) by Istok Church Supplies Corp.
A Holy Table cover is an absolute essential for Orthodox Christian churches. 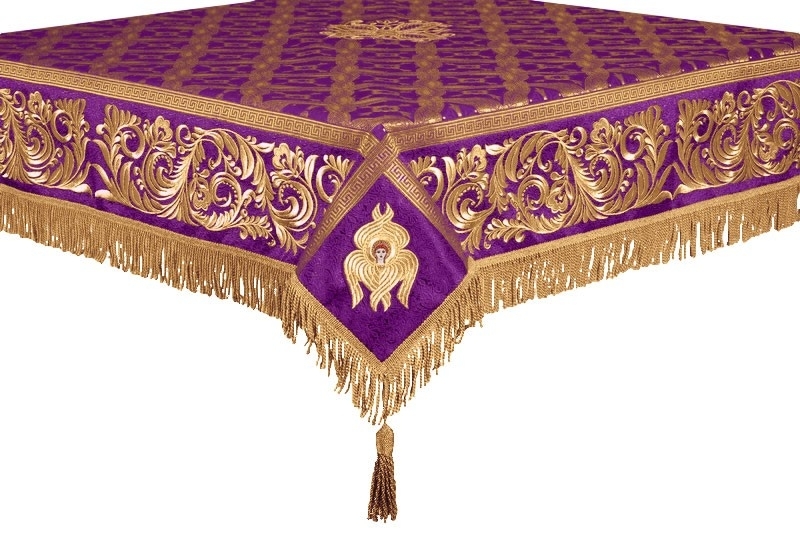 Istok Church Supplies offers luxurious violet-gold Holy Table covers that are highly suitable for weekends of the Great Lent and Dormition Feast. 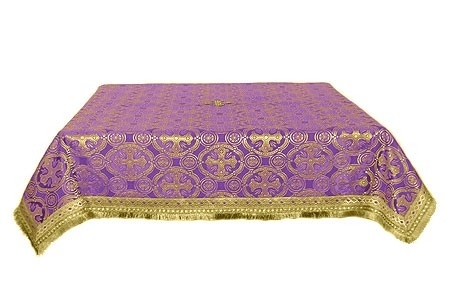 We understand that matching the color of church furnishings with the liturgical season or event is a very important part of Orthodox Christian church traditions. 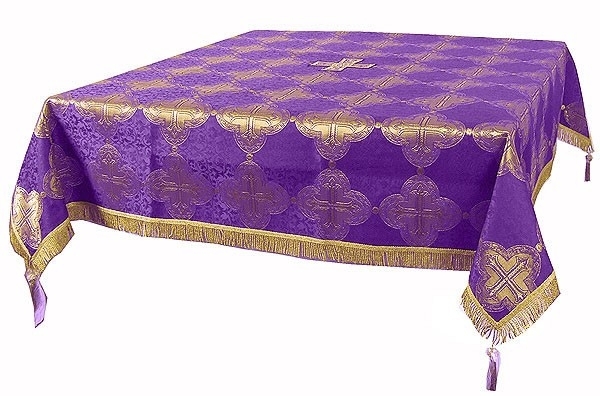 That’s why we offer Holy Table covers in a wide range of ecclesiastical color combinations. 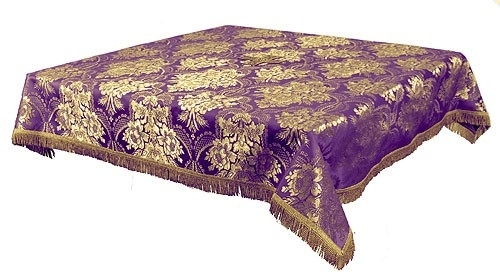 Our violet-gold Holy Table covers are made from the finest church fabrics including rayon brocade, metallic brocade and embroidered material sourced from reliable suppliers from around the world. Featuring rich Christian themes and patterns, these covers are a sight to behold but also prove their value in terms of durability. 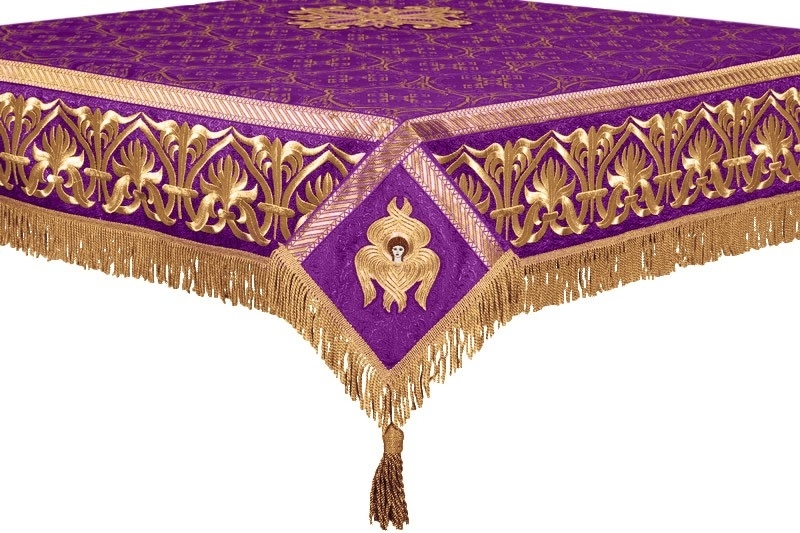 We offer beautifully embroidered violet-gold Holy Table covers created by master embroiderers Europe. Only the finest quality threads are used and the results speak for themselves. We are sure you would find it hard to find such high quality work, online or offline. From simple to lavish, customers can find designs that suit their tastes and requirements. 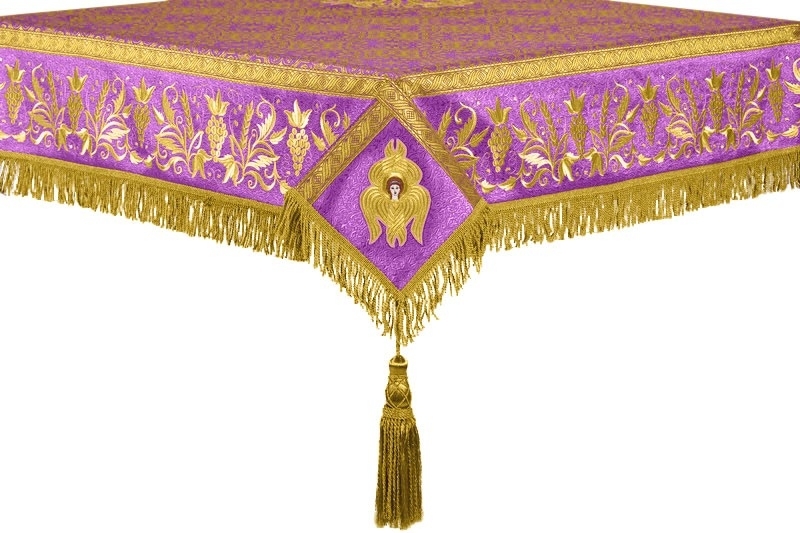 We take care of the smallest details such as trimmings and tassels to create Holy Table covers that stand apart from others. 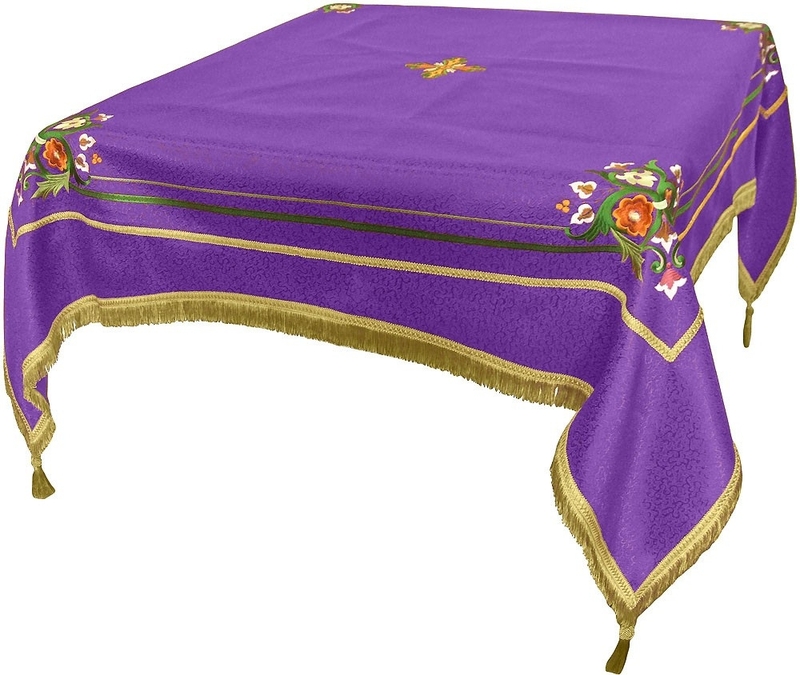 The prices mentioned are for standard size Holy Table covers measuring 55”x55”. 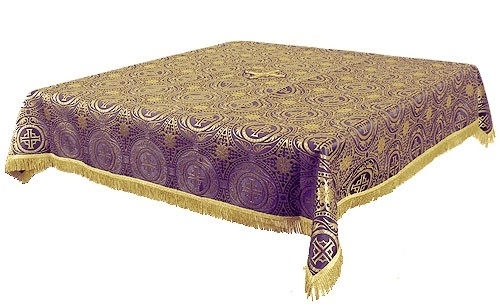 However, we can provide a custom cover that matches the size of the Holy Table in your Church. Just make a mention of your requirements in the Notes field of your order. 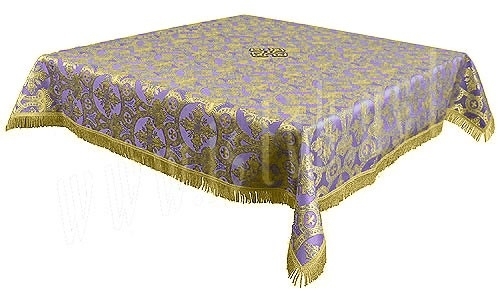 Prices of these lavish covers range from around sixty dollars to over nine hundred dollars – so there’s every chance you will find the right piece for your budget. We deliver to major regions worldwide including America, Europe and Australia. Customers can choose from a multitude of payment and shipping options while placing their order. 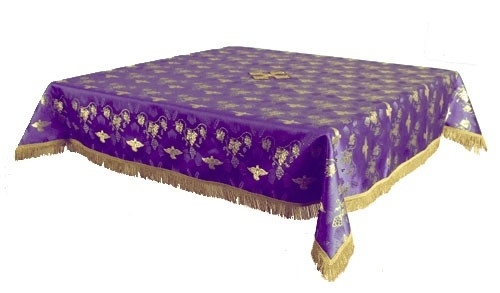 Shop for a resplendent Holy Table cover from wherever you are at present. We hope you enjoy our user-friendly browsing and purchase experience!